2 What is it? 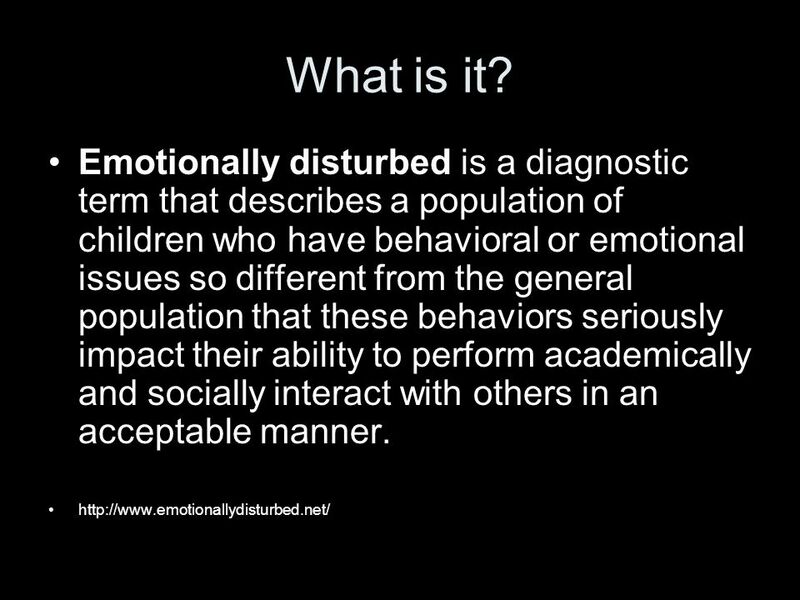 Emotionally disturbed is a diagnostic term that describes a population of children who have behavioral or emotional issues so different from the general population that these behaviors seriously impact their ability to perform academically and socially interact with others in an acceptable manner. To be considered and classified emotionally disturbed, specific criteria must be met based on federal legislation which includes: (1)the child has difficulty learning which is not associated with a health factor, cognitive ability, or sensory issues (2)the child has difficulty with his interpersonal relationships with classmates and adults (3)the child demonstrates unusual types of behavior in normal circumstances (4)the child appears depressed or generally unhappy (5) the child becomes physically ill or demonstrates fears associated with school. The classification of emotionally disturbed can only be made by a certified psychologist based on data collected over a period of time. present materials for a variety of learning styles (audio, visual, etc.) 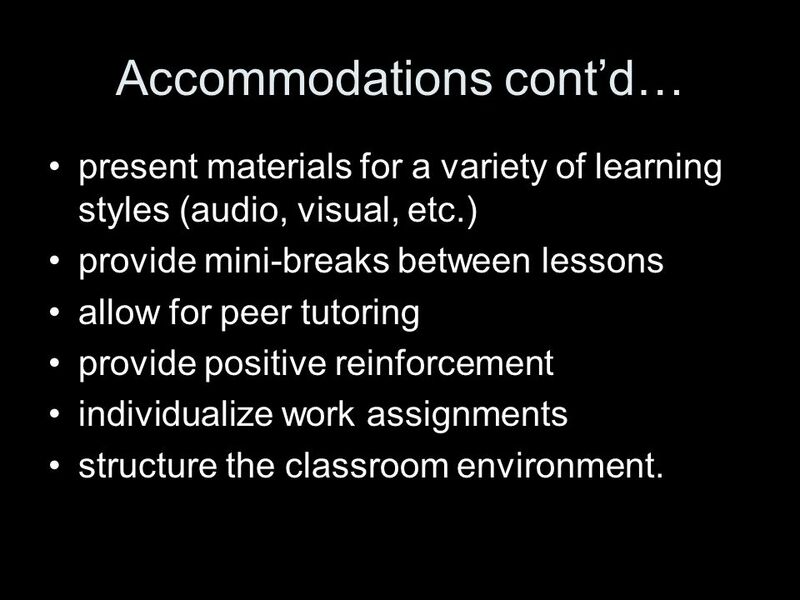 provide mini-breaks between lessons allow for peer tutoring provide positive reinforcement individualize work assignments structure the classroom environment. 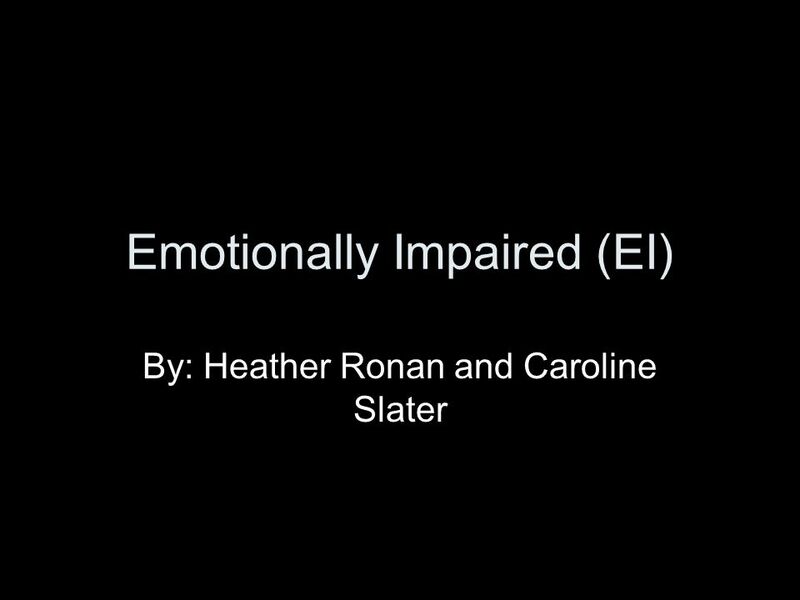 Download ppt "Emotionally Impaired (EI)"
1. 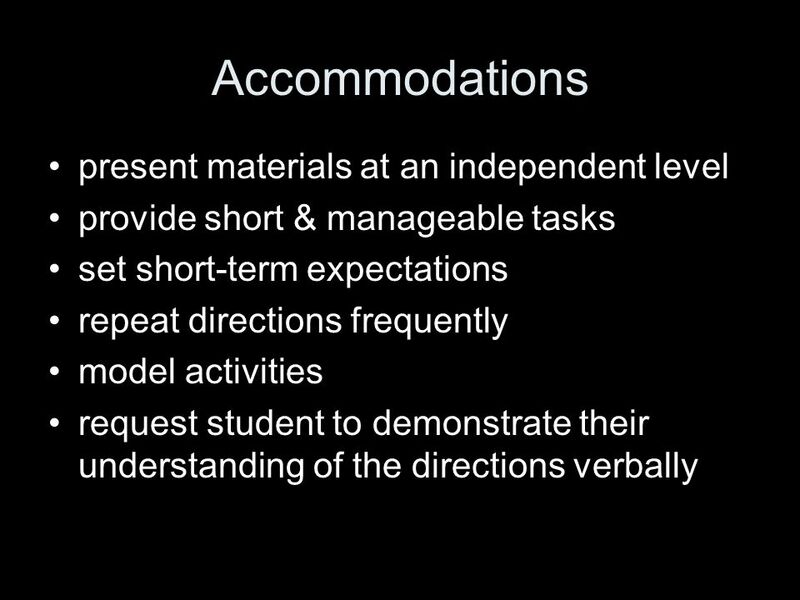 2 The Purpose of the Special Education Program Profiles Ensure consistency across the district Ensure consistency across the district Help determine. What is your understanding of Attachment An emotional bond ( between care giver and care receiver) A lasting psychological connection between human beings. ALAN FORD MRS. CAVAZOS FEBRUARY 20, 2012 Emotional Disturbance-ED. Copyright © 2007 Allyn & Bacon Chapter 6 Attention Deficit/Hyperactivity Disorder This multimedia product and its contents are protected under copyright. Emotional/Behavior Disorders Kimberly EllisPatricia Gonzalez Elyse GersbeckLori Miranda. Sandy DeMuth Parent Training October, Eligibility Student exhibits frequency, intensity, duration of any one of the following characteristics: 1. 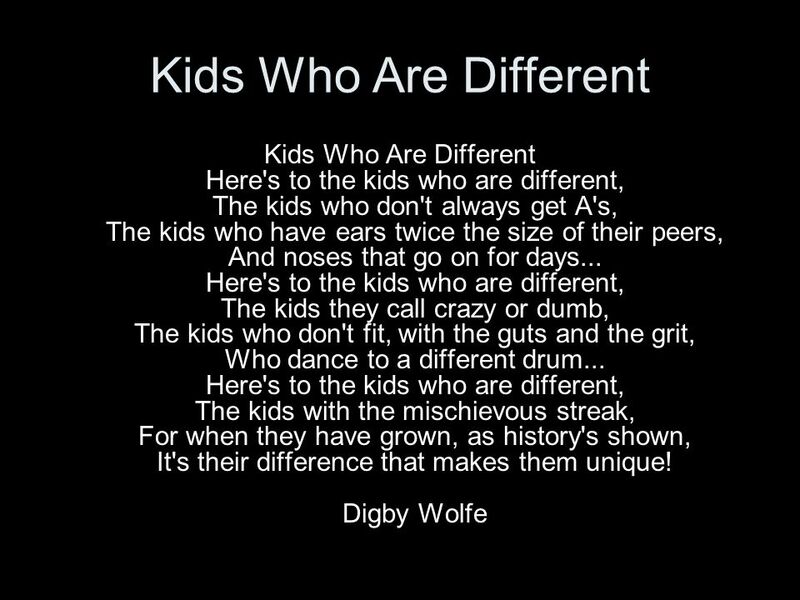 INTELLECTUAL DISABILITY. ELIGIBILITY CRITERIA Intellectual Disabilities (InD) “Significantly sub-average general intellectual functioning, existing concurrently. Multiple and Severe Disabilities. Definition (From IDEA) Multiple disabilities means concomitant impairments, the combination of which causes such severe. Psychopathology- illness or disorder of mind. 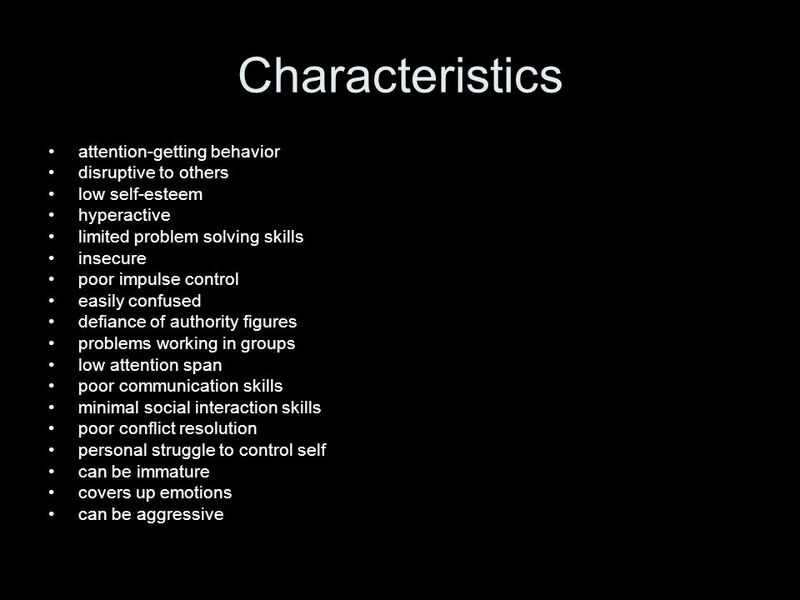 Developmental Psychopathology- uses insights into typical development to understand developmental disorders. Brandi Burns Lindsey Stauth. “Inclusive Education: support for implementation” We chose this resource specifically, because it is most beneficial for. Bell Ringer: Word of the Day Definition: a person who Part of Speech : speaks for or supports advocate: Noun a person or cause; one advocate: Verb who. “Labels” and Oppositional Defiant Disorder ODD Laurie Christensen. 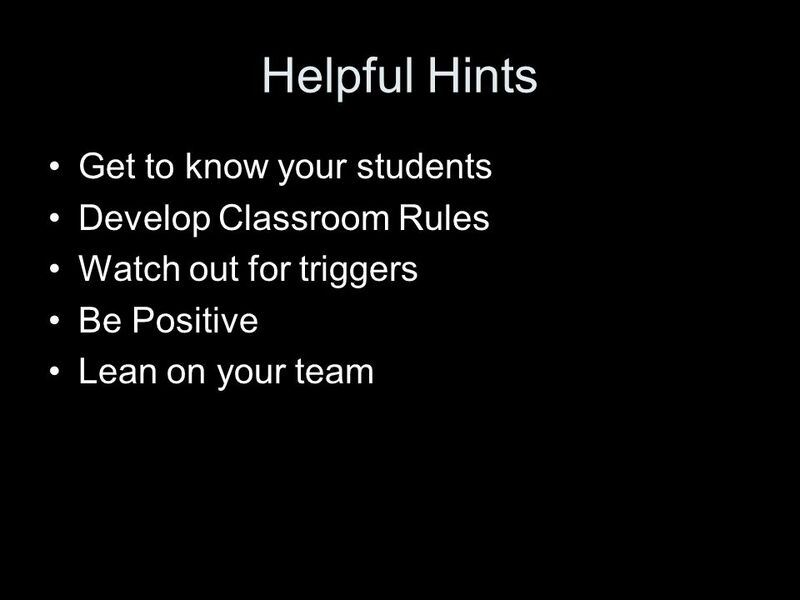 What you need to know as a parent….. Early Learning for Children with Disabilities There are many people that have had disabilities and are able to be.